Our solid wood Amish Lancaster Mission Round Coffee Table with Shelf displays mission-style with its clean design, and also the unique detail of corbels on the legs. 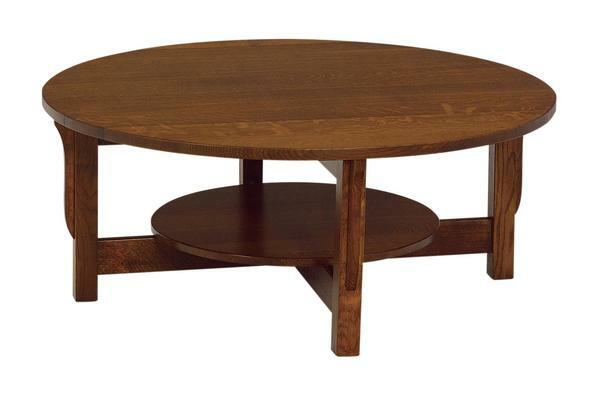 This round coffee table with a 1-inch thick top is also built standard with an open shelf resting on the tenon base. Shown in quarter sawn white oak with Michael's cherry stain and #16 hardware, customize this occasional table by choosing the wood type and finish that best match your home.